Your rules, your game. You decide. Click here for your free copy of The Impossible Adventure. This week, I've got a free urban fantasy book about a teenage boy, his missing mother, and his conniving neighbor and a handful of giveaways featuring paranormal romance, urban fantasy, young adult fiction, and more! When fifteen-year-old Jacob Lau is pulled from the crumpled remains of his mother's car, no one can explain why he was driving or why the police can't find his mother's body. A beautiful and mysterious neighbor offers to use her unique abilities to help him find his mom. In exchange, she requires Jacob to train as a Soulkeeper, a protector of human souls. He agrees to her demands, desperate for any clue to the mystery of his mother's disappearance. But soon Jacob finds himself trapped in a web of half-truths and questions her motives for helping him. 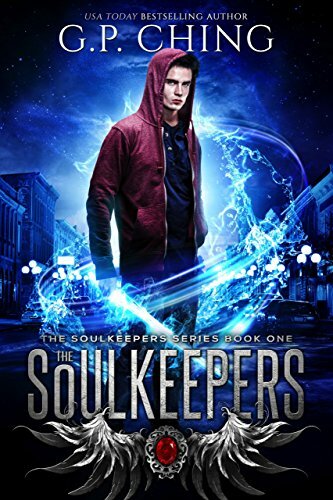 Start reading The Soulkeepers for free today! Bonus Book Binge Alert: As of the date of this post, there are six books in this series. Check out The Soulkeepers Series here. Check out the series starters and standalone reads of this urban fantasy and paranormal romance book giveaway and discover your next favorite, can't-put-it-down series! Find your next favorite urban fantasy or paranormal romance series now! Love young adult reads? Then this giveaway is for you! With practically every genre represented, you're sure to find more than a few free books to check out. Stock up on all the free young adult books your heart desires today! Explore new worlds and new loves in these free clean paranormal romance and urban fantasy books. Click on the covers of the books you want, sign up to learn a little more about the authors, and start reading. And don't forget to enter to win a gift card! Pick up your free clean paranormal romance and urban fantasy books now! In honor of reader appreciation month in March we're going to celebrate the best we know how...with free books! Get your free paranormal books today! Looking for a new urban fantasy series to start? Check out the free books of this giveaway, all urban fantasy series starters and prequels. Create your own custom bundle of new urban fantasy series to try! Discover your next favorite read filled with the paranormal, fantasy, angels, demons, and witches in this spring giveaway. Peruse 120+ free paranormal, fantasy, and sci-fi books now! Want more freebies? Check out the last Freebie Friday post. The deals might still be going on! Want to receive updates directly? Join The Troupe (Betsy's readers group)! © 2016 Elizabeth Flak. All Rights Reserved.